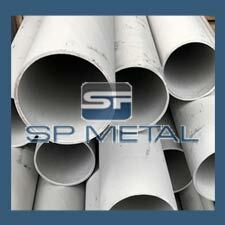 SP Metal is an illustrious supplier, manufacturer, Supplier and exporter of Stainless Steel 347h Seamless Pipe. 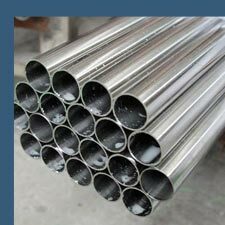 ASME SA213 SS 347h Seamless Pipe is a stabilized austenitic stainless steel similar to type 304 with an addition of Columbium and Tantalum. The columbium serves to produce a stabilized type of stainless steel which is immune to chromium carbide precipitation. Also referred as WNR 1.4550 Seamless Pipe, we also offer these Alloy 347h Seamelss Pipe at customized sizes and shapes too our esteemed clients according to their requirements. Also known as UNS S31609 Seamless Pipe, these stainless steels are available at market leading prices. Some thin wall Seamless Pipe up to 25.40 mm (1.000″) can be supplied. We are Manufacturers & Suppliers of Thin wall stainless steel 347h Seamless pipe in India. Looking for trusted dealer & distributor for 347h Seamless Thin wall pipe in India? Information for those interested in buying Thin wall 347h Seamless pipe. India’s Largest stockholder of SS 347h Thin wall Seamless Pipe offer best price in India. We are Manufacturers & Suppliers of ASTM A312 TP347h Stainless Steel Seamless Polished Pipe. Looking for trusted dealer & distributor for ASTM A312 TP347h Seamless Polished Pipe in India? Information for those interested in buying 347h Seamless Polished Pipe. India’s Largest stockholder of SS 347h Seamless Polished Pipe offer best price in India. We are Manufacturers & Suppliers of ASTM A312 TP347h Stainless Steel Decorative Seamless Pipe in India. Looking for trusted dealer & distributor for 347h Seamless Decorative Pipe in India? Information for those interested in buying SS 347h Seamless Decorative Pipe. India’s Largest stockholder of 347h SS Seamless Decorative Pipe offer best price in India. Range of Stainless Steel 347h Seamless Pipe according to ANSI/ASME 36.19M - 347h SS Seamless Pipe. ASTM A312 TP347h Stainless Steel Seamless Pipe as per #4 Polish, #6 Polish, #7 Polish or a #8 mirror finish. Stainless steel polished pipes can also be cut to size. 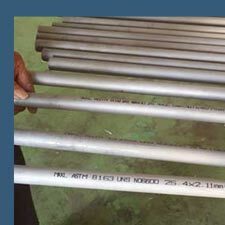 Bevel ASTM A312 TP347h Stainless Steel Seamless Pipe to prepare for welding or other processes. In some cases, UT testing of the stainless steel Seamless pipe and tueb may be required. We can assist you with this requirement. Above table represents that we keep in stock 347h Seamless Pipe, SS 347h Seamless in form of Pipe. Other sizes can be made available on request. When stainless steel parts such as nuts and bolts are forced together, the oxide layer can be scraped off, causing the parts to weld together. When disassembled, the Seamless material may be torn and pitted, an effect known as galling. This destructive galling can be best avoided by the use of dissimilar materials for the parts forced together, for example bronze and stainless steel, or even different types of stainless steels (martensitic against austenitic), when metal-to-metal wear is a concern. Nitronic alloys reduce the tendency to gall through selective alloying with manganese and nitrogen. In addition, threaded joints may be lubricated to prevent galling.